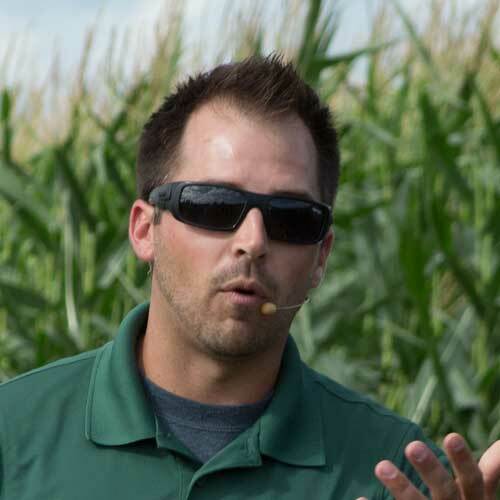 In the battle surrounding nitrogen, corn growers have one question on their minds: do we improve the environment or our bottom line? If you find yourself reading this and are short on time, let’s cut to the chase: AgRevival has found that you can do both. There’s no question about it: adding a nitrogen stabilizer to your spraying regimen can deliver a positive return-on-investment (ROI) to your business. And boosting ROI doesn’t have to come at a high cost to your farm’s soil. In order to determine the best stabilizer for your operation, you need to look at the potential effects to your bottom line and the environment. Lose nitrogen and you’ll be faced with lower yields and higher nutrient costs. And harming the soil ecology can eventually sap profits the same way. 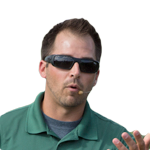 Which nitrogen stabilizers work best on corn? In 2017, AgRevival studied several nitrogen stabilizers—both mainstream and new products. For this study, we used each stabilizer with 16 gallons per acre of 28 percent liquid nitrogen. We applied the mixture at the V5 growth stage with a standard coulter applicator. In order to calculate the ROI of each stabilizer, we used a corn price of $3.86 per bushel and the most recent 2018 product prices. Among the new products, CarbonWorks CetaiN® captured the third best spot on our list. It improved yields by 4.6 bushels per acre and delivered a $12.51 ROI per acre. The runner-up on our list of new products was CarbonWorks Liquid Growules®, which achieved a 5.7 bushel-per-acre yield gain and delivered a $20.00 ROI per acre. 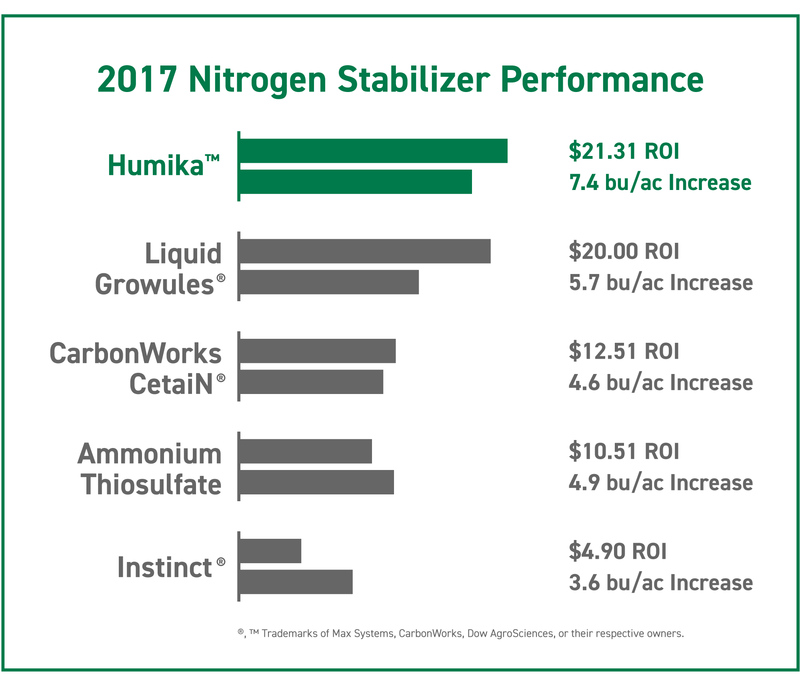 The top performer among our list of new products was Max Systems LLC’s Humika™, which boosted yields by 7.4 bushels per acre and delivered an ROI of $21.31 per acre. 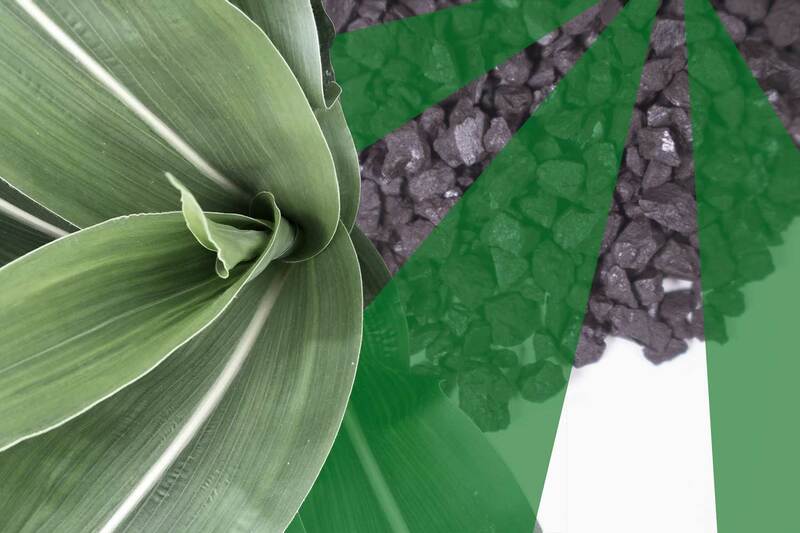 3 unique carbon products all outperformed the more commonly used ammonium thiosulfate and Instinct® in our 2017 research trials on corn. We also included conventional products in our stabilizer study. For example, Instinct® increased yields by 3.6 bushels per acre and delivered an ROI of $4.90 per acre. With ammonium thiosulfate, we observed a yield increase of 4.9 bushels per acre and an ROI of $10.51 per acre. What is the nitrogen conversion process? Now that we’ve highlighted the results of our study, we can dig deeper into how these products work. First, let's gain a better understanding of the nitrogen conversion process. The nitrogen conversion process converts synthetic nitrogen fertilizers to the plant-available form of nitrogen. 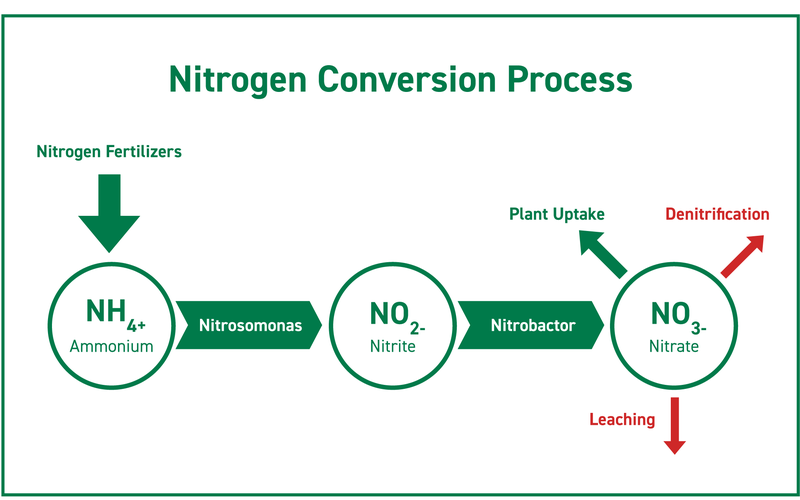 The nitrogen conversion process turns synthetic nitrogen fertilizers into the plant-available form of nitrogen. Unfortunately, this same form of nitrogen easily leaches through the soil profile and into our groundwater or volatizes off into the air via denitrification. The challenge is finding a balance that holds your nitrogen in the soil while making it available to your corn crop when it's needed. How is nitrogen stabilized in the soil? 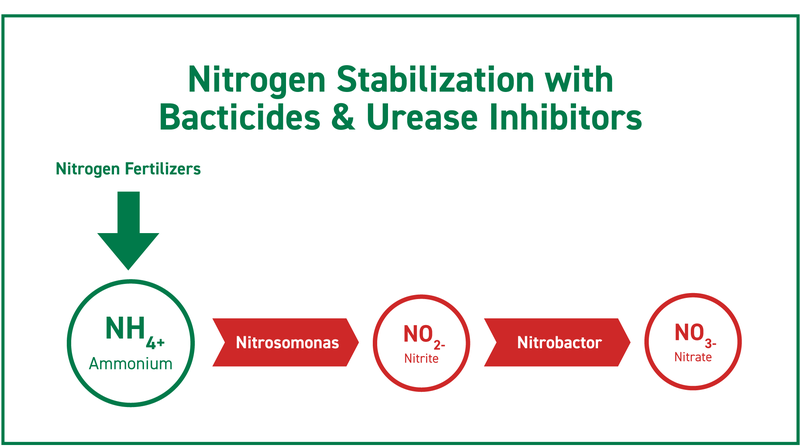 Bacticides and urease inhibitors stabilize nitrogen by sterilizing the soil environment of Nitrosomonas and Nitrobacter—two species of bacteria that are necessary for converting synthetic nitrogen fertilizer to plant-available forms nitrogen. Bacticides and urease inhibitors work by sterilizing the environment and hampering urease enzyme, nitrosomonas, and nitrobacter, which are important for converting the synthetic fertilizer to a plant-available form of nitrogen. 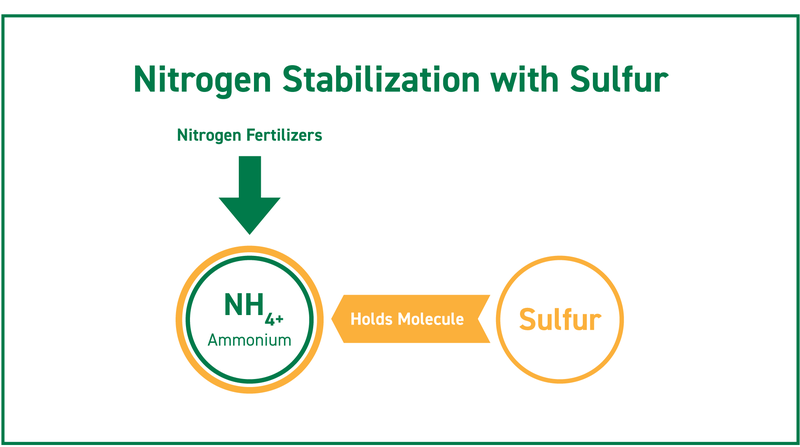 Sulfur helps hold the positively charged nitrate molecule to the soil to improve nitrogen's stability. Sulfur works through a positive interaction. The sulfur molecule can help hold the positive nitrate molecule, which keeps this vital nutrient in the soil and available to the plants longer. 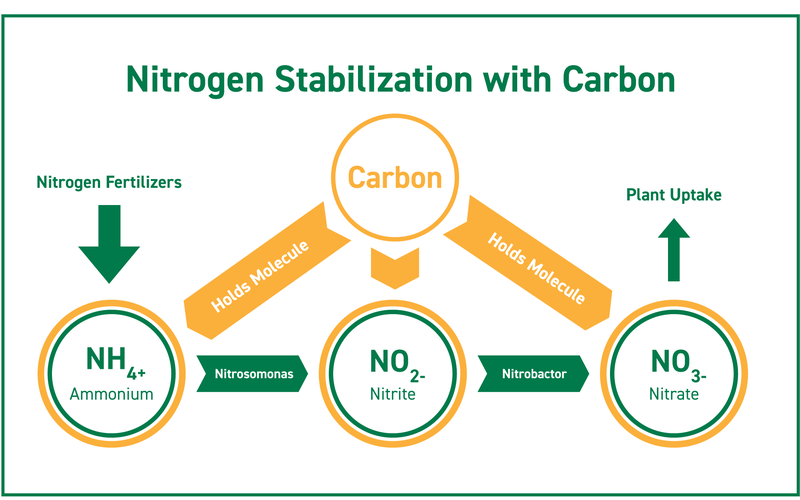 Carbon can help stabilize all three forms of nitrogen: ammonium, nitrite, and nitrate. Carbon functions in a similar way to sulfur, but it can hold the nitrate, nitrite, and ammonium form of nitrogen in the soil. It can do this because carbon can hold both a positive and negative molecule at the same time. Is carbon the future of nitrogen stabilization? Each of these product classes brings you increased yields and ROI. But, is there an environmental cost to some of them as well? 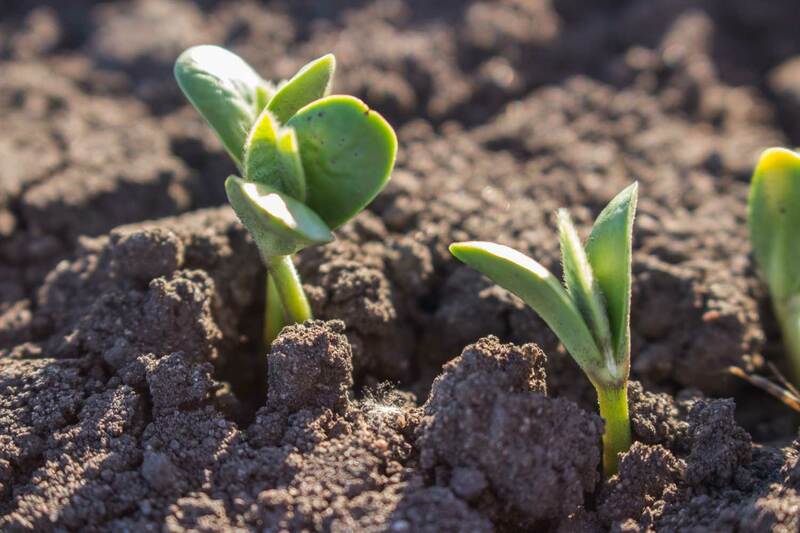 At AgRevival, we believe that you can’t look at your actions today only in terms tomorrow’s yields: you also have to consider the health of your soil. Do we really want to use a product that will hamper—and in some cases destroy—the soil biology our plants depend on to convert synthetic fertilizers into plant-available nitrogen forms? If you want to continue boosting corn yields . . . from 180 to 200 . . . to 220 . . . to 250 bushels per acre, your plants will need more nitrogen. Thus, you need to consider products that will enhance and promote a higher activity level from urease enzymes, Nitrosomonas, and Nitrobacter. This is why we at AgRevival believe that the new carbon-based nitrogen stabilizers we’ve tested are the future. Not only do they add to your bottom line today, they maintain or improve your farm’s soil health for years to come. If you have questions about these nitrogen stabilizers and are wonder which is best for your operation, we encourage to reach out to us via the comments section or through our contact page. "I have always had a curiosity of how God created the functions of nature. I founded AgRevival as a platform to perform research and share information to help you be more profitable and sustainable." After testing over 20 products and product combinations on soybeans, we've determined that farmers can see big gains when using the right starter.